The announcement that Windows will be on the Raspberry Pi has been controversial but misunderstood by many. If you've been working with Linux on the Raspberry Pi, you have to assume a completely different set of requirements when using Windows on the Raspberry Pi. The announcement that Windows will be on Raspberry Pi has been controversial but misunderstood by many. If you've been working with Linux on Raspberry Pi, you have to assume a completely different set of requirements when using Windows on Raspberry Pi. This starts with the fact that there is no classic Windows interface. As part of the developer program, Microsoft is offering a Windows 10 IoT for Small Devices to distribute Windows on the Internet of Things (IoT). This version basically has no graphical user interface. Windows 10 displays only a few configuration data on Raspberry Pi. There is no conventional graphical user interface with Explorer and no command line as you are used to. 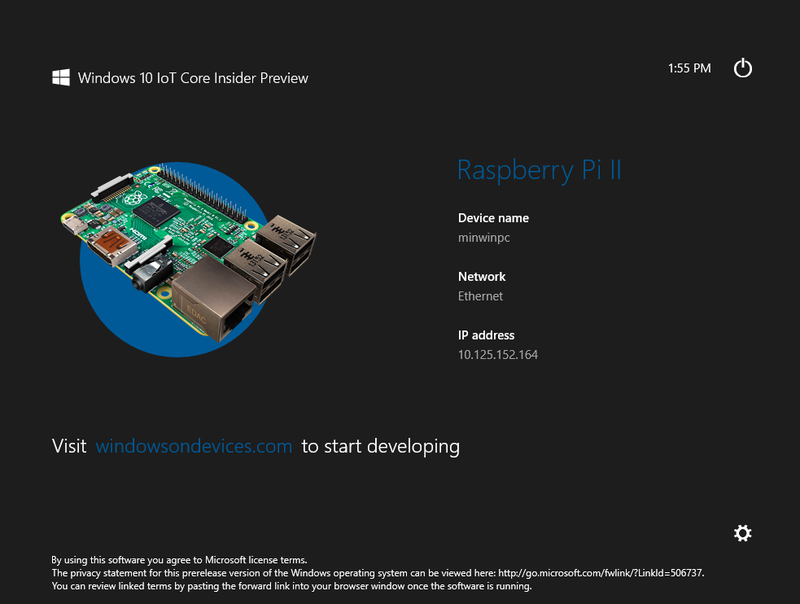 However, Windows provides a web interface on the Raspberry Pi that is accessible via a browser. To bring software to Raspberry Pi requires an app shop or a development environment, such as Visual Studio. You get the necessary software after registering for free. The installation of Windows and applications is forced via Visual Studio. The attempt under Linux with the command "dd" to create an image of a Windows IoT partition fails. Because the full flash update format (flash.ffu) is not a 1: 1 image, which can handle "dd" and similar software. Experienced Raspberry Pi hobbyists who want to use Windows on Raspberry Pi must reckon with the fact that they do not have everything they are used to from Linux. It can be assumed, however, that thanks to a uniform app and driver model, a Windows on Raspberry Pi also have unlimited possibilities. With Windows 10, Microsoft unifies its embedded versions. There will only be Windows 10 IoT for "Industrial Devices", "Mobile Devices" and "Small Devices" (Windows Developer Program for IoT). Windows 10 IoT is designed to simplify the integration of wearables, solos, and smart home devices into Windows networks and access through Azure cloud services. Windows benefits mainly from the broad driver support. Hobbyists and developers may use some versions of Windows 10 IoT for free. For example for Raspberry Pi. The normal Raspberry Pi hobbyist will usually continue to work with Linux on Raspberry Pi. .NET developers who master C ++ and C # and want to use Windows IoT will find Raspberry Pi just one of many hardware platforms.